Even for experienced cyclists, riding along busy stretches of roads or highways can be harrowing. There are too many drivers who don’t want to share the street with bicycles and drive aggressively; there are even more who just aren’t paying attention to their surroundings. 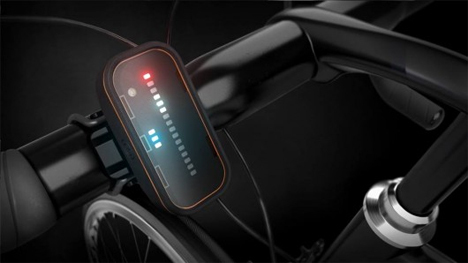 For the brave cyclists who choose to travel on two wheels anyway, the Backtracker provides a “sixth sense” to keep them safe. 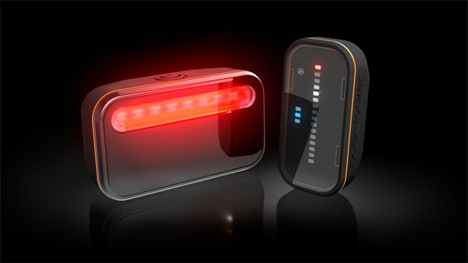 The Backtracker is a two-piece system which can tell cyclists when cars are approaching from behind. The front module fits onto the bike’s handlebar assembly and acts as a visual cue relating to what’s happening behind the cyclist. When a car is approaching, the display indicates how close it is and how quickly it is approaching. It can “see” vehicles up to 140 meters (153 yards) away. The second module fits onto the back of the bike and contains a radar and a tail light. The two modules are connected via Bluetooth LE. As the radar detects a vehicle approaching, the tail light begins blinking rapidly to alert the driver to the cyclist’s presence. 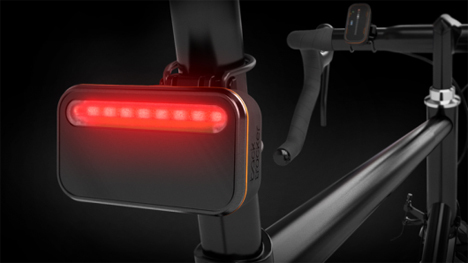 It also sends a signal to the front module alerting the cyclist to the vehicle’s presence, proximity and speed. Both modules are charged via USB and can go for up to eight hours on a single charge. The project is raising money via the Dragon Innovation website, where a $199 pledge will get you a single Backtracker set. See more in Bikes & Cycles or under Transportation. July, 2014.